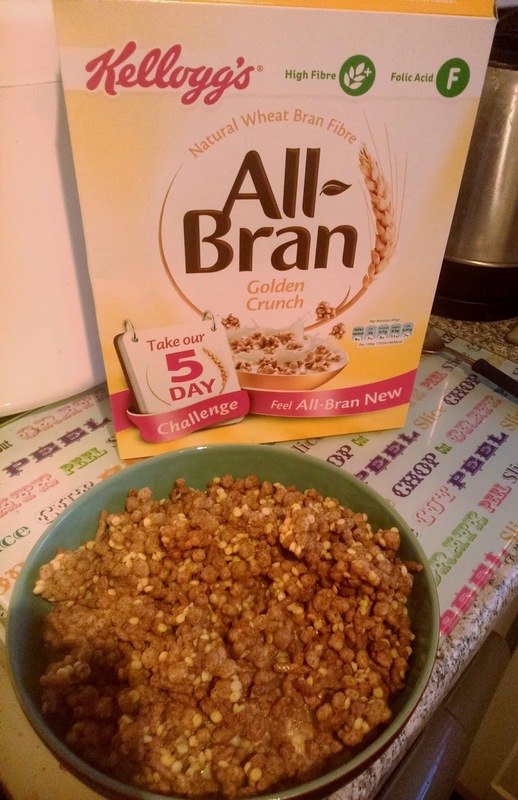 Confessions of a Single Parent Pessimist: #RealMumsAllBran 5-Day Challenge: Embracing My Tummy! 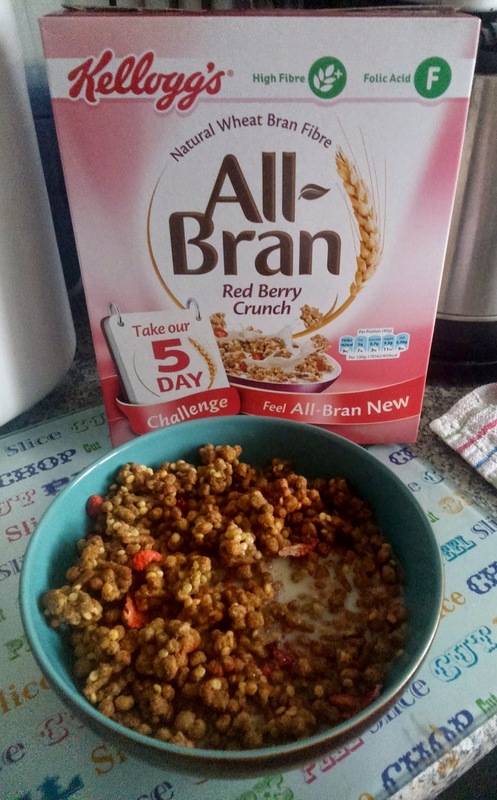 #RealMumsAllBran 5-Day Challenge: Embracing My Tummy! All Bran have set us mums a fun challenge to help improve our tummy for the better, and it involves eating yummy cereal! According to the lovely people at All Bran, 90-95% of our happy hormone (aka serotonin) is made in our guts. Research of 1,000 women by the company* found that more than half of them (52%) were experiencing digestion issues such as wind and bloating often and this is where their cereals come into play; Eating fibre every day is one of the easiest, and tastiest, remedies for these digestion issues. To test this, Kellogg's All Bran have set mummies like myself a challenge which involves eating their new cereals for 5 days. I am a HUGE cereal addict, so I didn't need asking twice to join in with this! 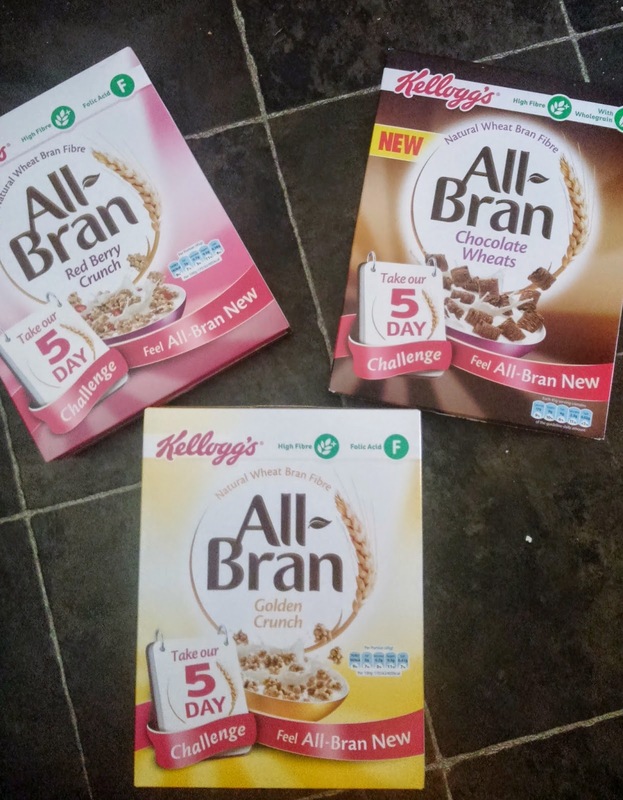 All Bran for me has always been the standard bran sticks, and as a child I always heard parents and grandparents recommending it whenever a child was constipated so it's one of my mummy recommendations before even starting this challenge. Aside from how it helps, I used to always remember my grandmother eating this, and I would copy her- leaving it in the milk for a while to soften and go to mush, because it tastes SO GOOD that way! I also decided to take on this challenge because I suffer from stomach problems, which includes IBS. I contracted IBS through the severe stress within my job as a social worker in child protection when I first started out in the social work world nearly ten years ago. Now whenever I am anxious or stressed, I have awful digestion problems- you can imagine how my stomach can be during some of the difficult toddler stages with Chunk cant you?! Nothing I have tried has ever eased the symptoms, so I have just had to ride it out, cramps and all, for a few days which these days is very tricky when I am on my own with a very hyper and tantrum-prone toddler. The Golden Crunch is also clusters, and I think both of these flavours would taste divine in a flapjack mix, so this will be my next recipe tester so keep your eyes out on future posts. The Chocolate Wheats are yummy when left to soak for a bit, as the chocolate seems to get richer in taste. On day one I didn't notice a difference, but I didn't expect to, however on day two I did start to notice that I wasn't getting very bloated towards the end of the day like I usually do, and I didn't feel any discomfort. 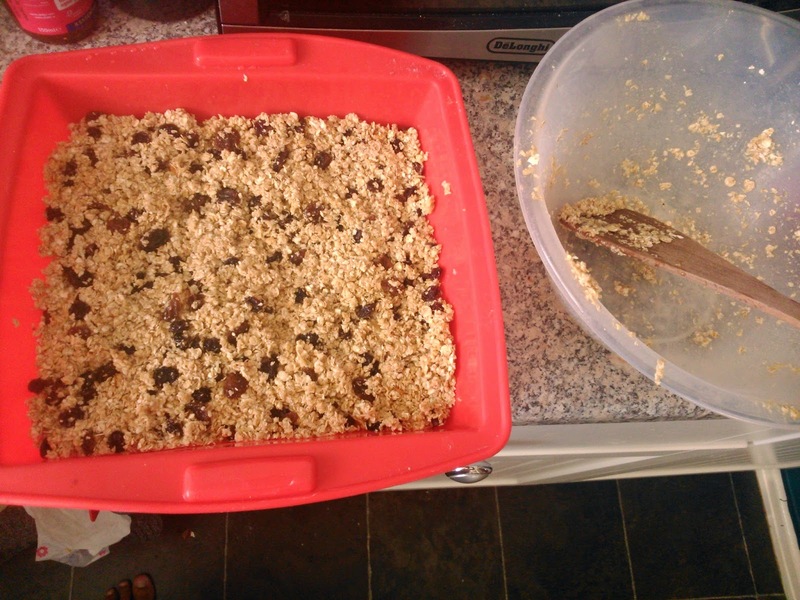 Golden Crunch Makes Good Flapjacks! By day four I was not bloated at all and my toilet habits were like clockwork, which is something that has been all over the place since the birth of Chunk nearly 2 and a half years ago. So by day five I was a very happy bunny, because my usual sluggish, bloated gut in the evenings was nowhere in sight so I felt more able to get things done, such as decorate my kitchen, as opposed to just being a couch potato. The only downside to the cereal in my (greedy) opinion is that the boxes don't contain enough for the hungrier ladies like myself, as I like a good bowlful of cereal for breakfast in the hopes that I wont snack so much mid morning. Due to not being bloated and to being *ahem* regular, I was not gassing the place out anymore too and all in all my stomach was feeling content and loved. Therefore I highly recommend trying the 5 day challenge if you have any of the same issues as me, to see if it helps you too. This post is an entry for the Real Mums of All-Bran Linky Challenge, sponsored by Kelloggs. For the purpose of this challenge, Kellogg's sent me three boxes of cereal. No payment was received, so all opinions are honest and my own. 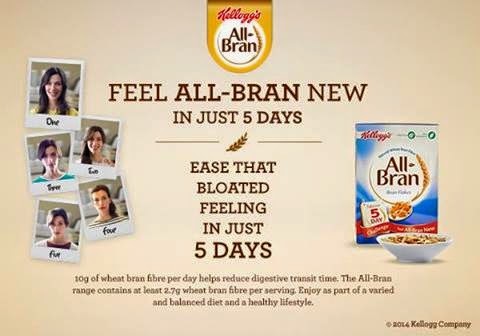 *Source for all research findings included in this document: Kellogg’s All-Bran Save Our Stomachs European Research Study (2014) conducted by Edelman Berland.